Ok friends. Can we just talk about the fact that they already have the Halloween candy out? And Hobby Lobby has Christmas stuff? These are fall/winter things and they are months away. I've been working full time this summer so I already feel like I've missed out on enjoying this summer weather. When I saw the candy and the Christmas ornaments I was shocked. I know fall is coming, but I think I just need a softer transition than jack o'lanterns and Santa. So to proactively get myself ready for the Chicago fall/winter I made a recipe that blends the best of late summer into a delicious chowder. This chowder is not for the feint of heart. There's a lot of ingredients, but that mostly because I put everything that sounded good in it. And all these ingredients make it so tasty. The grilled poblano gives a smoky flavor while the grilled Midwestern corn is sweet. The potatoes help fill you up and the freshly shredded cheddar gives a bit of a tang. The bacon is salty and the chicken packs enough protein that you can call this dinner. 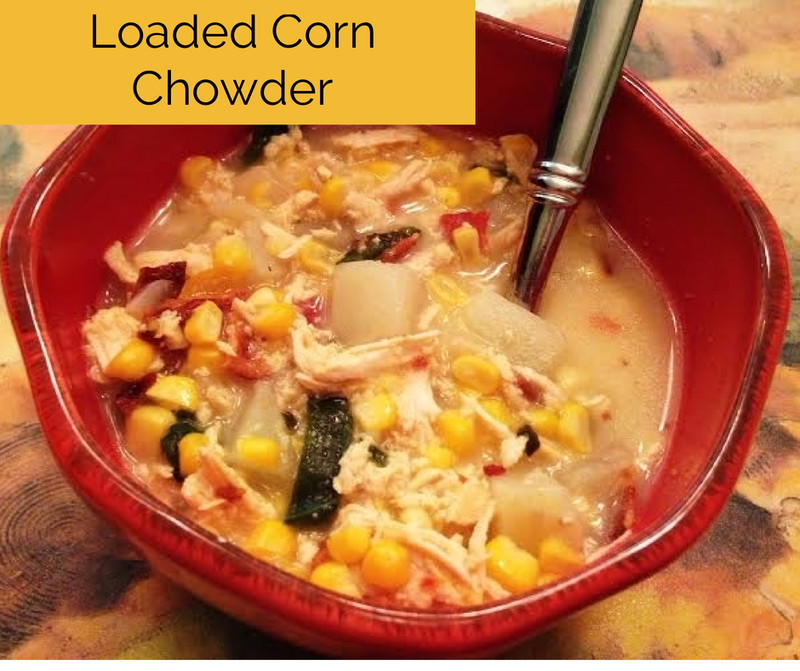 If you're going to eat soup, it might as well keep you full until your next meal. So cook up this chowder and we can ease into fall together. 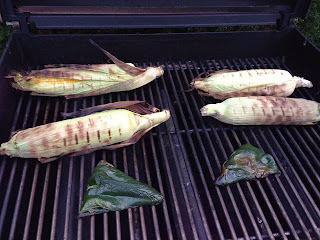 I grilled the corn and the poblano because its summer and I'm on a grilling kick. If you don't have enough time to do that, you can always buy frozen/canned corn and a can of diced green chiles. 1. In a large stockpot over medium heat, sauté chopped onion and diced pepper in 1 T oil. Cook for 5-6 minutes until tender. 2. Add minced garlic and continue to cook for a minute or so. Then add in cumin and flour and stir for 1 minute. 3. Add in chicken stock, milk, potato, and chopped poblano peppers. Bring mixture to a boil, stirring constantly. Reduce heat to low and let simmer for 10 minutes. 4. After 10 minutes, add in the pulled chicken, corn, and crumbled bacon. Continue to simmer for 10-15 minutes while the flavors blend. 5. 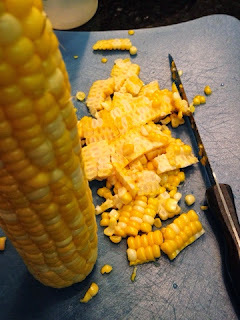 Just before serving, add in the cheddar cheese. Give it a taste and add in any salt and pepper. Serve with a yummy bread like this one. This recipe is inspired by Better Homes and Gardens and Cooking Classy.